The auction market was on the tipping-point of a change, but what were the first steps? And, perhaps, more importantly, who was going to take them first? With the fear of change from new technology, increased transparency and the eventual disappearance of the 'magic show' of the auction world, after many financial market reports - online has proved the best way to meet the customer and thereby increase sales and profit. In recent years, the digital revolution of the art and auction industry switched to a development that was in tune with our times and other sectors- think music, travel and the rest. A few years ago, Barnebys, opened up the world of auctions and put the customer first. In Dr Clare McAndrew's annual report for TEFAF, The European Fine Art Foundation, she explains how online sales of art amounted for €3.3 billion in 2014, 6% of the total of art sold that year. That figure will more than double for 2015 and continue to increase during in 2016. Bukowskis CEO, Anna-Karin Laurell made an interesting comparison in an interview with Barnebys last year, where she said that online sales at Bukowskis increased by 22% compared to other consumer online sales in Sweden, which increased by 12% last year. Of recent, Christie's and Sotheby's, the world's two oldest auction houses, have been on the receiving end of sharp criticism from the media and shareholders, as the old system of auctions has proved inflexible and does not aid the development of online strategies. So-called "modern" auction houses such as Phillips, established 1796, and Fellows, established 1876, are turning their focuses to what the market wants. Phillips' total revenue of $523 million in 2015 included $80.3 million from their first luxury watch sale. 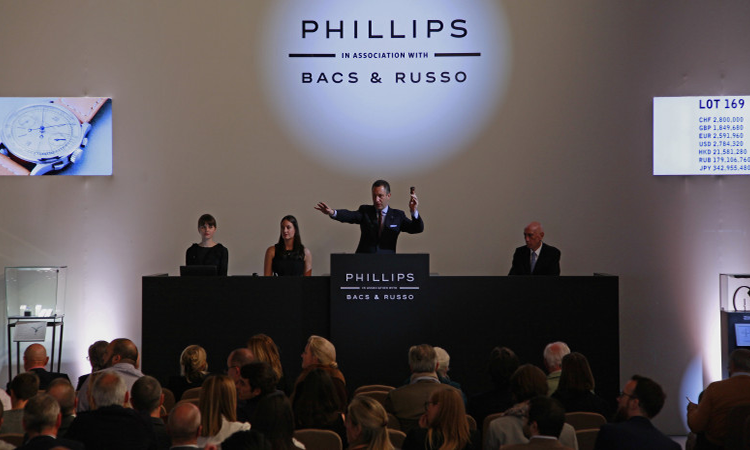 The sale proved that cost-effective management, full commissions, global trade, and above all, a gateway to tomorrow's major buyers of categories other than art is the way forward for the market. The same strategy of listening to the market's needs which was first put into practice when the world's biggest auction houses starting selling vintage fashion. The hesitation of the art world to go big business online seems to have dispelled. Last year, the completely online-based auction house Auctionata, sold a Chinese Imperial Immortal Mountain Clock to the tune of €3.4 million - totally online. 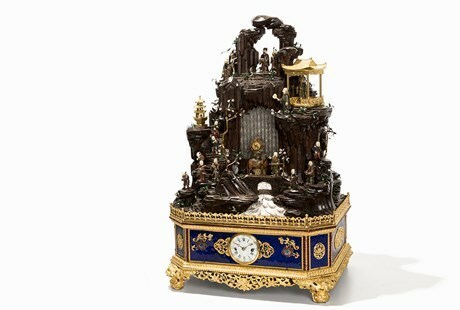 Imperial Immortal Mountain Clock fetched an astounding € 3.37 million in Auctionata's June Important Asian Art auction. I've said it before and I will continue to nag; it's not about being online or not. It is about being on both - clicks and bricks. Being art and antiques dealer today without an online strategy is like being an antique dealer without a store or warehouse. The market will grow, and more and more will use this ever-evolving online network both to discover and buy art, design and antiques.